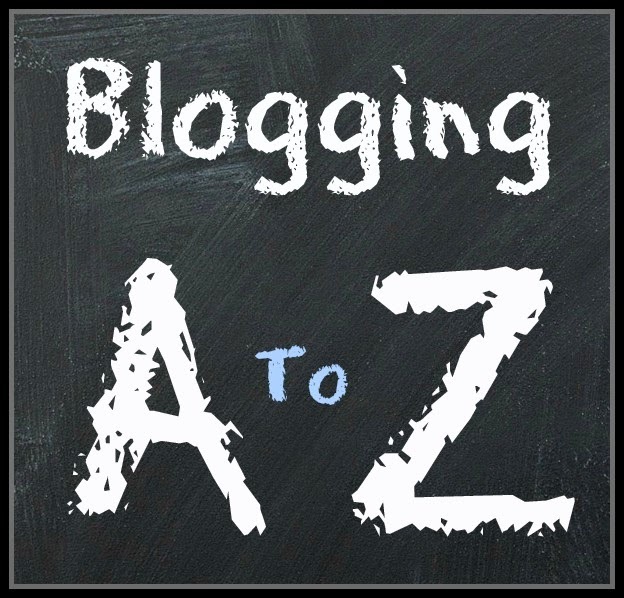 Over the next few weeks I will be blogging through the alphabet. You can read more AtoZ posts by clicking here. I'll freely admit that I do not enjoy cooking. Making a meal on the stove is something I do because it must be done. Baking on the other hand is a different story. I love to make yummy brownies and cookies. I don't do it as often as I would like, simply because my waist and hips already too wide. As a girl, I remember my grandmother baking pies and allowing me to play with the leftover crust dough. She'd even bake my then gray colored creations. No one ever ate my baked pieces of dough (looking back, I don't blame them) but I thought they were wonderful. 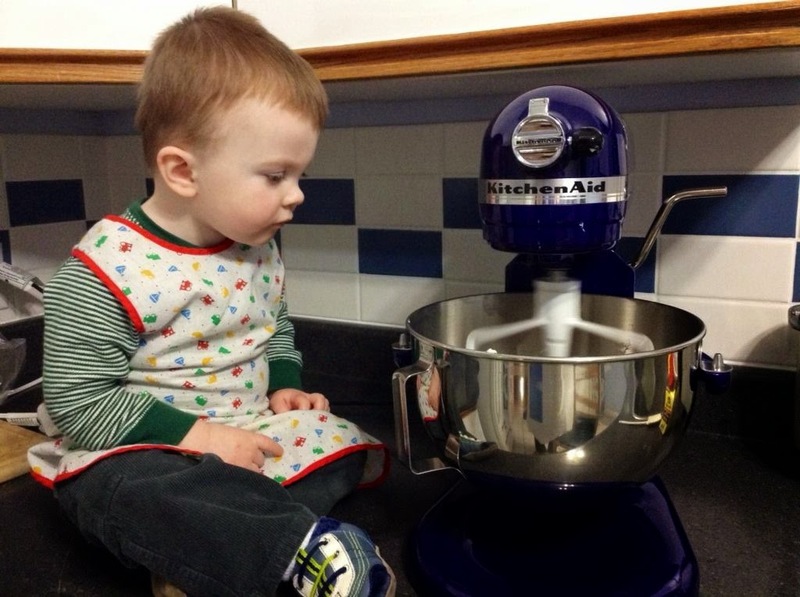 Was that the beginning of my enjoyment of baking? Perhaps. I do know those are some of my favorite young memories of times spent with my grandma. IntelliGent is often curious about what is happening in the kitchen. I likes to be picked up to see the water boiling in a pot, or meat sizzling in the fry pan. I try to include him in these activities by talking as I work or, if appropriate and safe, placing him on the counter to watch. 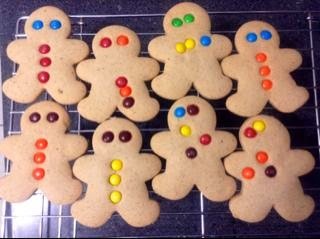 When we started the K4 curriculum, one of the early lessons talked about the Gingerbread Man. I decided to make some cookies with IntelliGent. Was I insane? My mother never baked with me and Grandma only let me play with the leftovers. Still, I grabbed our aprons and got to work. It was a wonderful experience - one we have repeated a few times. IntelliGent was involved in every part of the process. He helped me read the recipe, stir the dough, use the mixer, cut out the cookies, and decorate them. Can you tell which ones IntelliGent decorated? 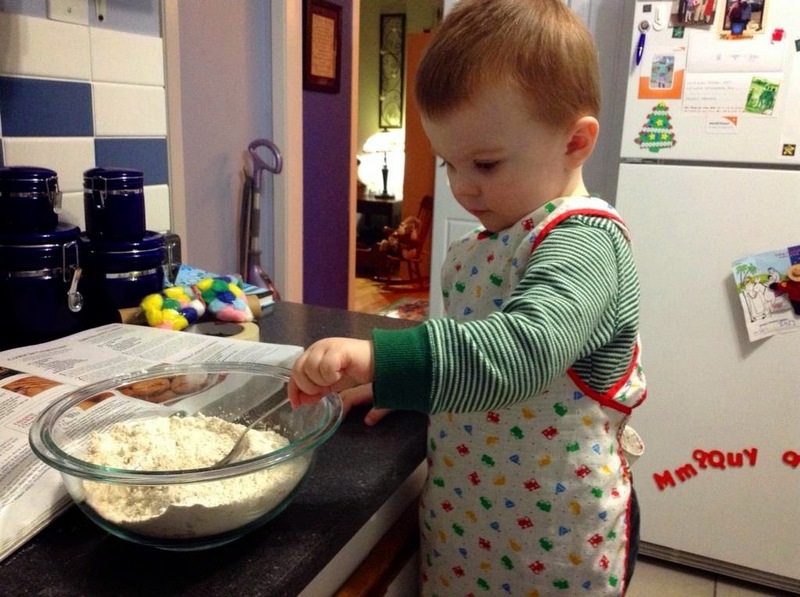 Baking with a toddler does take longer, but I am impressed with IntelliGent's willingness to help and I believe he is learning important lessons as we measure, pour, mix, stir, and cook together. We both agree the best part is enjoying the yummy goodies at the end.